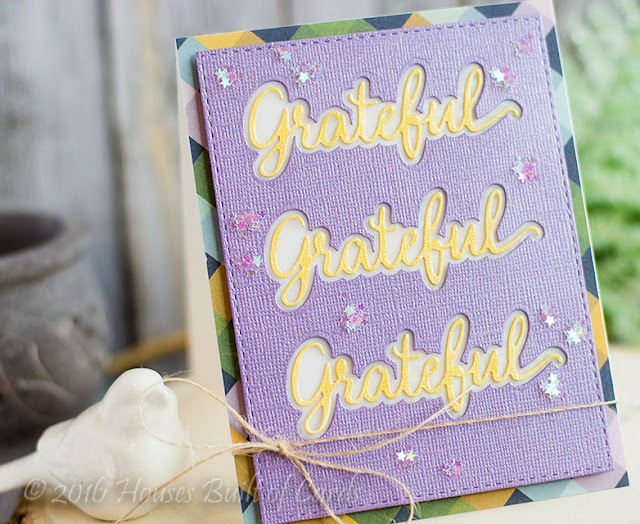 I absolutely adore the font of this Grateful Wafer Die - and love the way it is a two step die - so unique and fun! I added a coat of Glossy Accents to the yellow words as well. 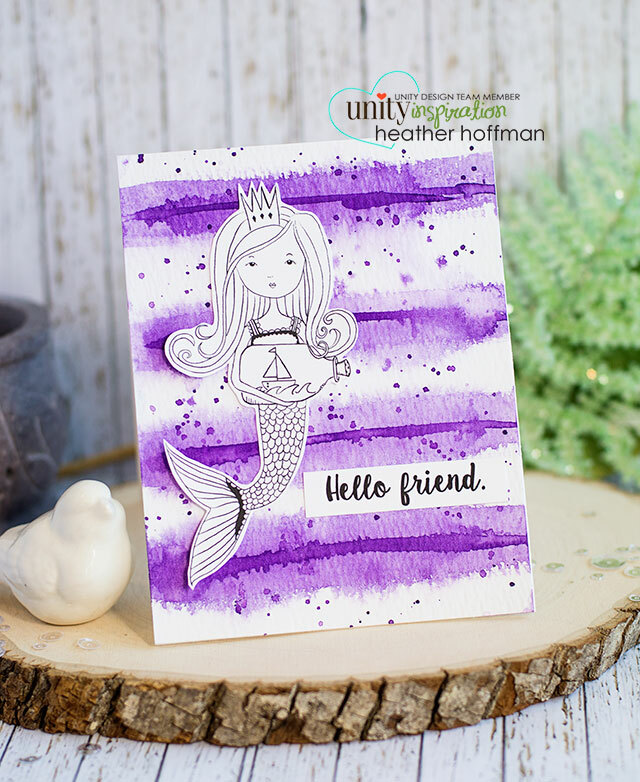 The new shimmer paper is super fun too - fun and frosty colors, and the texture is fun too! 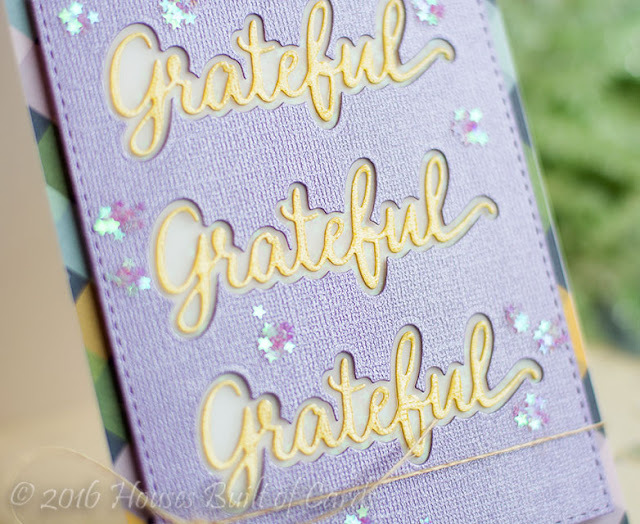 I used some adhesive to randomly stick some of the star confetti on the front of the card and wrapped some jute twine around in a loose bow to finish. Rectangle die finishes off the shaker portion, and the pattern paper in the back is from an American Crafts paper pad - love how the colors set everything off just right! Good morning! 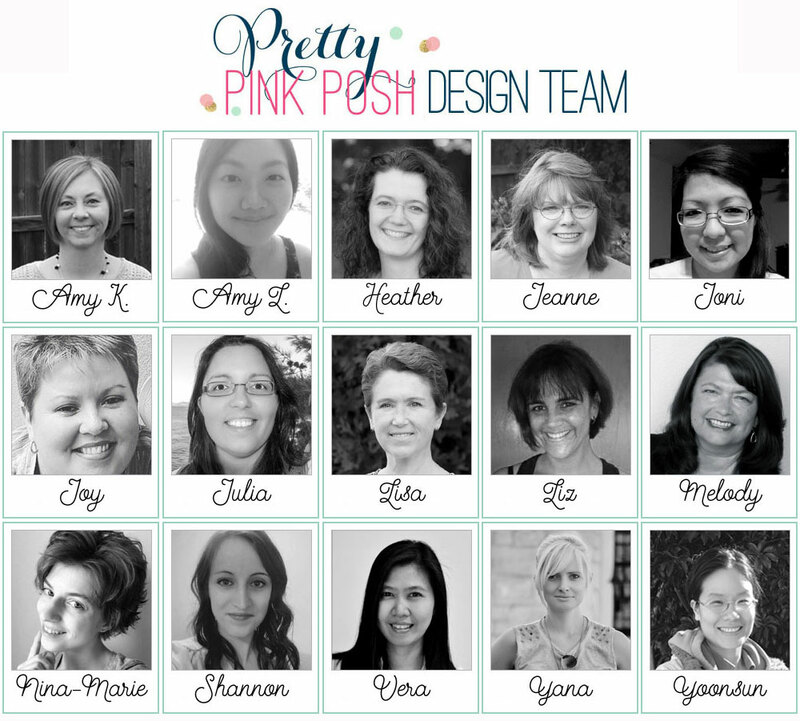 I'm happy to share that I will be remaining on the Pretty Pink Posh Design Team for another term - I just love Paulina and all of her sparkly fun products! 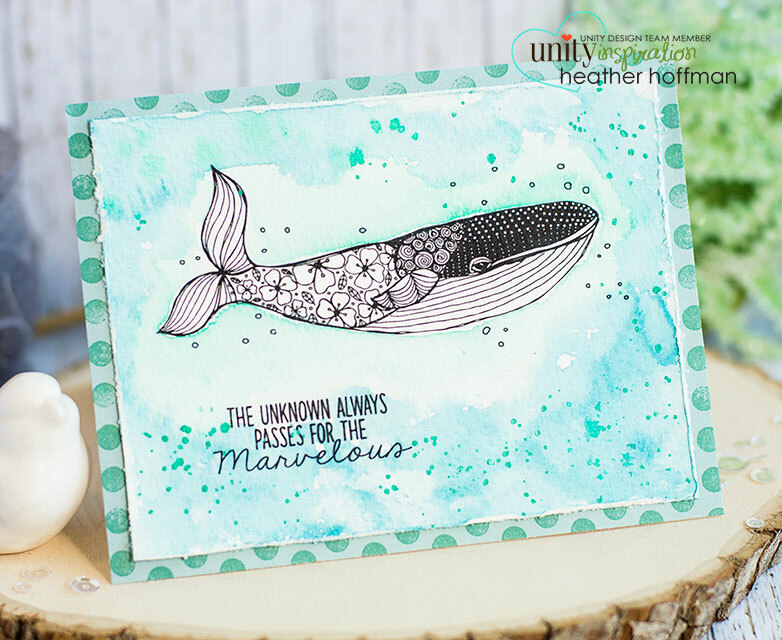 Today there are a couple new faces joining the team, and to add to the fun, there is also a guessing game - match up the designer to their card for a chance to win a $100 gift certificate! YAY!!! Here is the entire team - can you spot the new faces? 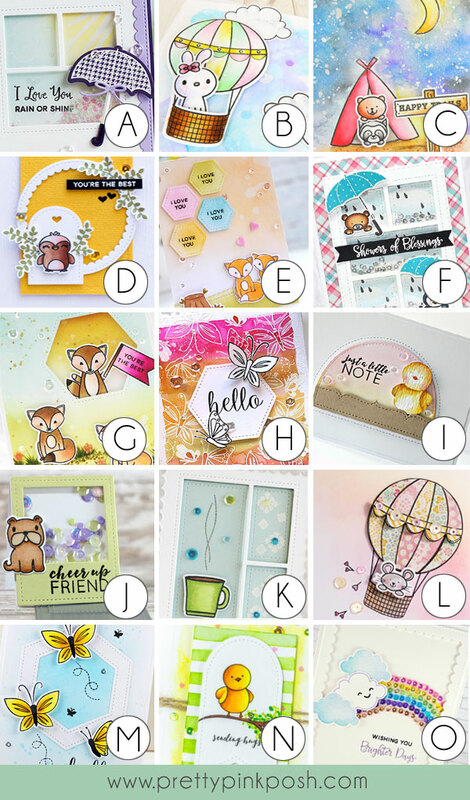 Make sure and head over to the Pretty Pink Posh blog to play along! 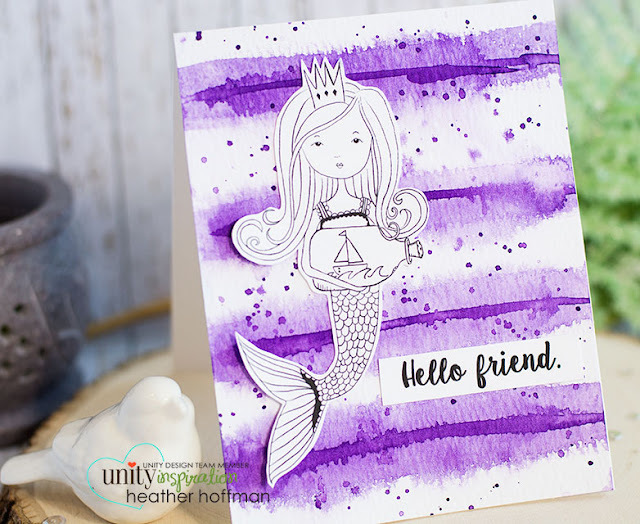 Ombre Watercolor Stripes and a Mermaid! 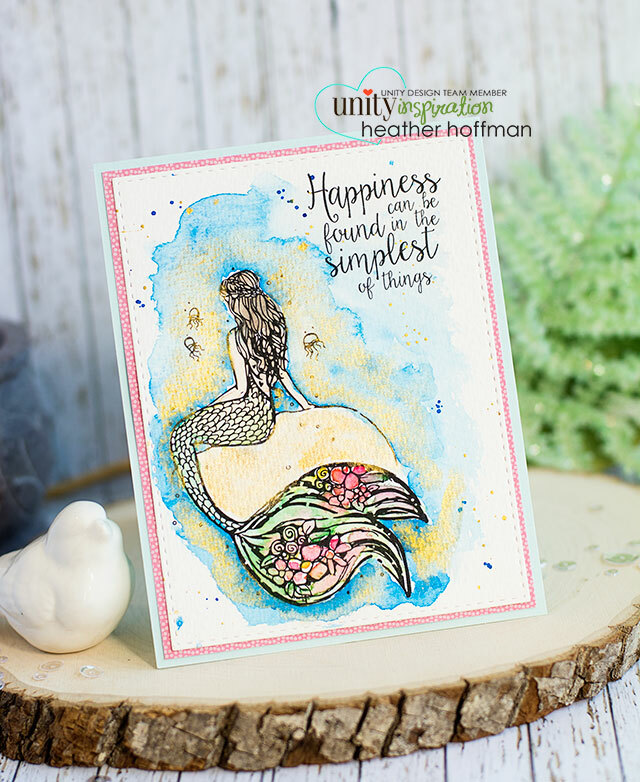 I was going to color the mermaid, but once the background was finished, it just seemed like it needed to stay plain and let the background shine on it's own! I love this watercolor technique - inspired originally by an image on Pinterest - you can read my original attempt and post on the Unity Blog HERE. Good morning! 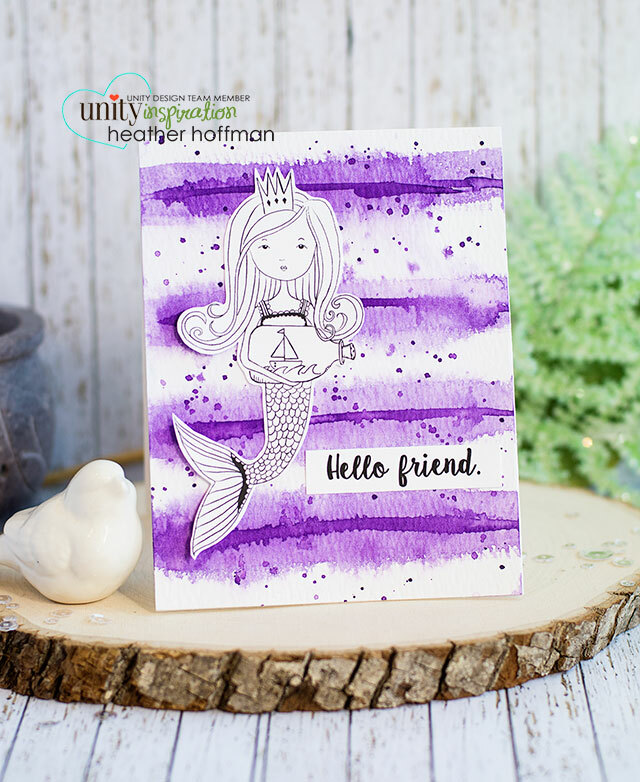 Sharing another card from the new Unity Stamp Company releases this weekend - and a Quick Tip video for it as well - this one is a sparkly mermaid underwater scene! 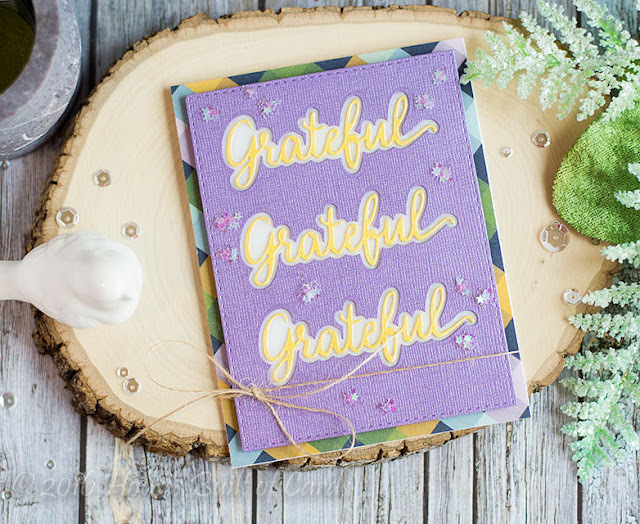 The way the two colors blend is just so fun - I just simply can't get enough watercolors! 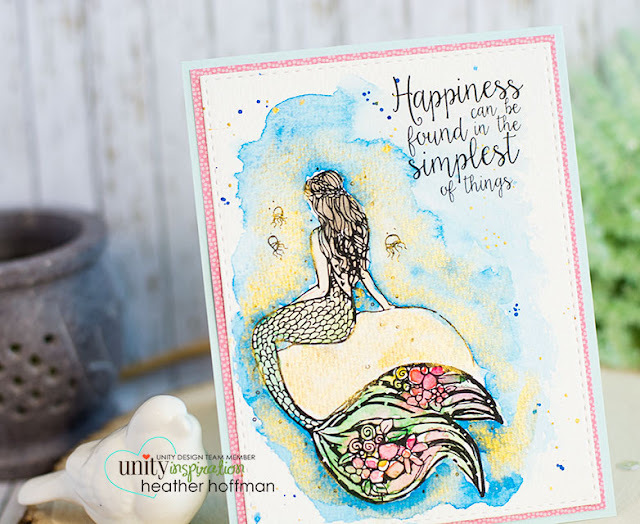 After the video, I went ahead and colored in the mermaid as well. I added a bit of pattern paper peeking out around the mermaid, then mounted it on a soft blue cardbase to finish off. Good morning! 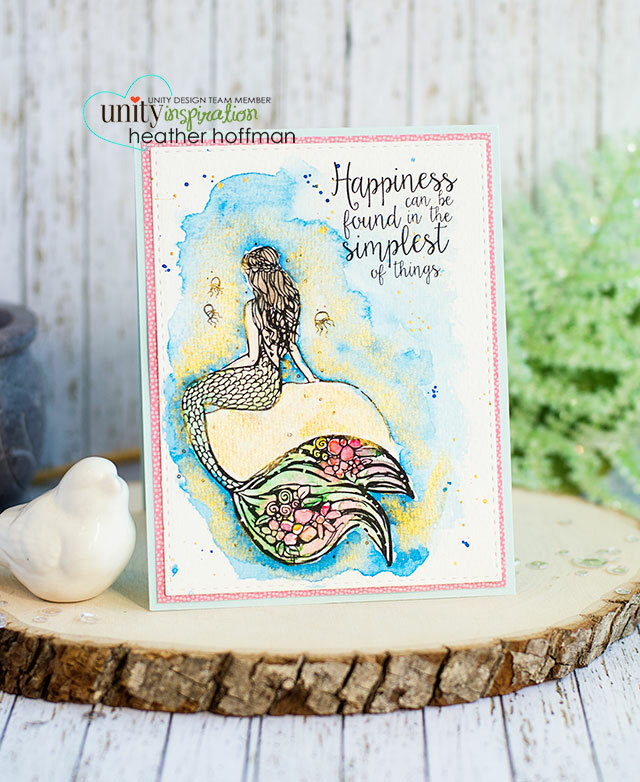 Sharing another card from the new Unity Stamp Company releases this weekend - and a Quick Tip video for it as well! 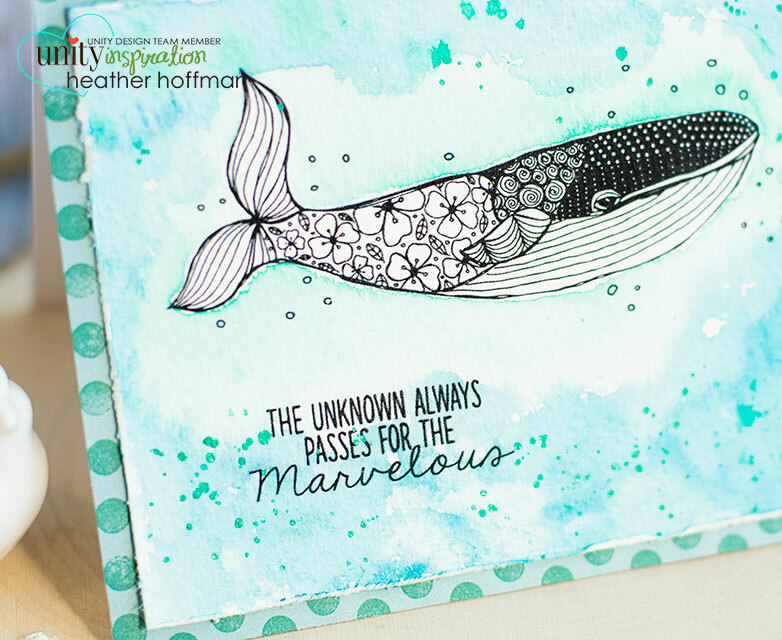 I love the effect of two colors and allowing them to blend together like this - as well as leavin gthe image uncolored and simple. I used a distress tool on the edges before attaching to my pattern paper - which was actually in my random pile, so I have no idea what company is is from! 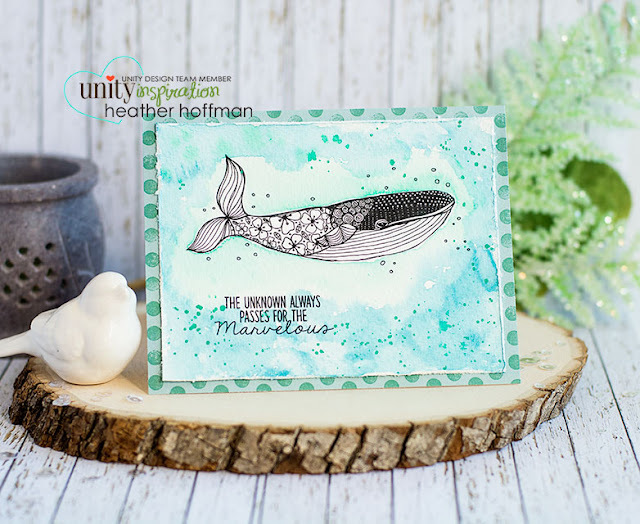 SSS September Card Kit - Scratch Here! Reverse Confetti August Release - Blog Hop!